A recent survey demonstrated that nearly every large police department plans to use body-worn cameras, with 95% either committed to body cameras or having completed their implementation. Police in suburban Chicago village filed a federal civil rights lawsuit against the police department for those very body cameras. According to the complaint, the body cams recorded footage when the police officers had no idea the cameras were on. 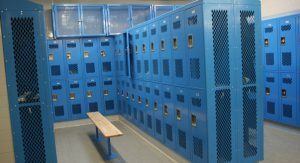 Footage included officers in the locker rooms and bathrooms over a seven-month period. Based on the footage, several police officers filed suit claiming the footage violated their civil rights and right to privacy. The body cameras were used between September 2015 and May 2016. One of the plaintiffs discovered the footage while reviewing the video from his own body camera. The body cameras were no longer used after the footage was discovered. The police chief hired an independent investigator and attorney to review the body camera footage and to unearth what happened, but claimed the plaintiffs refused to comply. According to the police chief, the plaintiffs unnecessarily “jumped the gun” to file the lawsuit without cooperating with the independent investigation. Do the Officers Have a Legitimate Complaint? Although the use of body cameras by police departments is more prevalent now than ever, police chiefs who are wary about the technology cite privacy concerns or fears that the footage could be posted publicly online. Given this new lawsuit, it looks like their concerns are well-founded. However, the recent trend is that many courts are demanding body cameras be used to help prosecutors and defense attorney ascertain the truth revolving around various police confrontation. This need for body cameras is especially apparent given the recent media coverage of police shootings of African American males. Body camera footage could give us the answers that we otherwise would not obtain. Most police chiefs’ privacy concerns are based on civilians who feel their right to privacy has been violated because they had no knowledge of the use of body cameras. Nevertheless, the law finds that police can film civilians in public places, such as city streets, because no one has a reasonable expectation of privacy in public places. But what happens when the footage captures private footage of police officers? The law isn’t clear. While the police officers were not in a public place and instead their place of employment, they did know that the body cameras were present and there was a possibility the cameras might record non-public moments. On the other hand, the officers incorrectly believed they were turned off. Their best argument is that bathrooms and locker rooms in a place of employment are customarily considered private places such that cameras are not used in these places. Plaintiffs’ right to privacy does not disappear in these places simply because their job requires them to wear body cameras. For this reason, their complaint could be valid. What are the Benefits and Disadvantages to Police Using Body Cameras? With the privacy concerns associated with body cameras, are there really any benefits that could outweigh the privacy concerns? Body cameras can record every interaction. The argument is that the use of the body camera will minimize complaints about police officers’ behavior as well as the use of unnecessary force because the officers are more accountable for their actions. They further protect officers from false accusations, misconduct and abuse. Camera footage can also provide valuable evidence that obtain accurate witnesses and victim statements. On the other hand, body cameras can invade the privacy of civilians and police officers alike. Use of body cameras can prevent people from coming forward as witnesses for fear of retaliation or public exposure. Further, most body cameras are activated at the whim of the police officer. The officers can decide for how long the footage is stored and if and when it should be made accessible to the public. The use of body cameras is an ongoing debate, and only time will tell whether police departments find them more helpful than harmful.